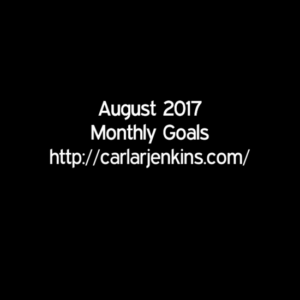 I have a new 31-day series promoting planning. I am very excited about it because this new series will help so many people. I have built three blog sites on actionable content. In addition, I am expanding myself through freelancing and guest blogs. These two things will increase my blog ranking, reach and opportunities. Next I will create a video for each product to increase its visibility and sales. Finally, I will debut three new email sequences to get fresh leads. Thanks for having me and wishing me well. I aim to crush all of my August goals!